YOTA, as you know, is expanding its horizons more and more from this year onwards and we are glad to announce our first YOTA IARU R1 sub-project! It’s called Nordics On The Air (or NOTA for short) and will be hosted by SSA. 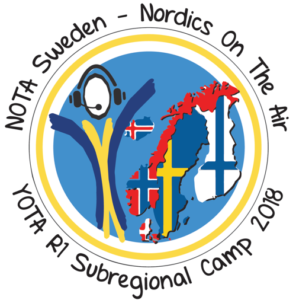 NOTA is essentially going to be a camp for young radio amateurs which will take place at Hemsö fortress in the middle of Sweden near Sundsvall/Härnösand. It will take place from March 1st to March 4th 2018. The camp is directed towards all the Nordic countries. The camp will be held on an island which is connected to the mainland by ferry. The campsite is inside an old large military base in a mountain. The shack and cafeteria are inside the mountain as well. There will be many outdoor activities during the camp. Breakfast, lunch and dinner as well as snacks will be catered and the food will correspond to normal Scandinavian food traditions. As of now, all the gear is set! Special thanks to everyone who helped making this event possible as well as a big thank you to all our sponsors! We hope to see you there and have a lot of fun at the Nordics On The Air camp! Super cool event and very cold, I would guess? Are there any pictures about Nordic-YOTA already in the gallery somewhere? Lovely! Great inniciative! Congrats.. 73!